The competitive restaurant and bar industry often requires owners to think creatively and act swiftly to make every dollar count. While marketing initiatives aim to persuade consumers to choose one dining destination over the other 600,000+ options in America today, cost-cutting tips can help maximize profits while maintaining quality customer service. A restaurant’s menu is one of its most valuable tools to attract and retain customers. Physical menus are often the result of hours of planning — from the assortment of menu items to the layout, design, and branding. Research reveals that restaurants can experience gains in net profit by changing the position of dishes on the menu, placing more profitable dishes in the middle of a single-page menu. Where does this leave the least profitable dishes? To cut costs, retailers can use a menu research strategy to remove dishes ordered infrequently as these likely have high ingredient waste, according to Small Biz Viewpoints. A 2014 study by the Food Waste Reduction Alliance found that 84.3% of unused food in American restaurants ends up being disposed of, while 14.3% is recycled, and only 1.4% is donated. Restaurants that offer smaller adult portions, specific menu items geared for children, and an ingredient-efficient menu can impact the environment while saving money. Menus are also a useful marketing tool. As The Balance reports, top restaurants throughout the country use their menu to communicate effectively.. Take for instance, the dual message of the El Pollo Loco menu — "Healthful, Freshly Prepared Food Hot Off Our Open-Flame Grills Cooked by Our Grill Masters" — positions the brand as both Mexican and Backyard BBQ. With this type of menu marketing, El Pollo Loco can uniquely position itself in a grilled Mexican food class all by itself. Another approach is for restaurants to consider making energy-wise changes ranging from appliances to light fixtures. According to the National Restaurant Association’s ConSERVE website, the typical restaurant spends 35 percent of its energy dollar on cooking, 28 percent on heating and cooling, 18 percent for dishwashing, 13 percent on lighting and 6 percent on refrigeration. In addition, Pacific Gas and Electric’s Food Service Technology Center found that 80 percent of the $10 billion annual energy bill for the commercial food service sector is expended by inefficient food cooking, holding, and storage equipment. 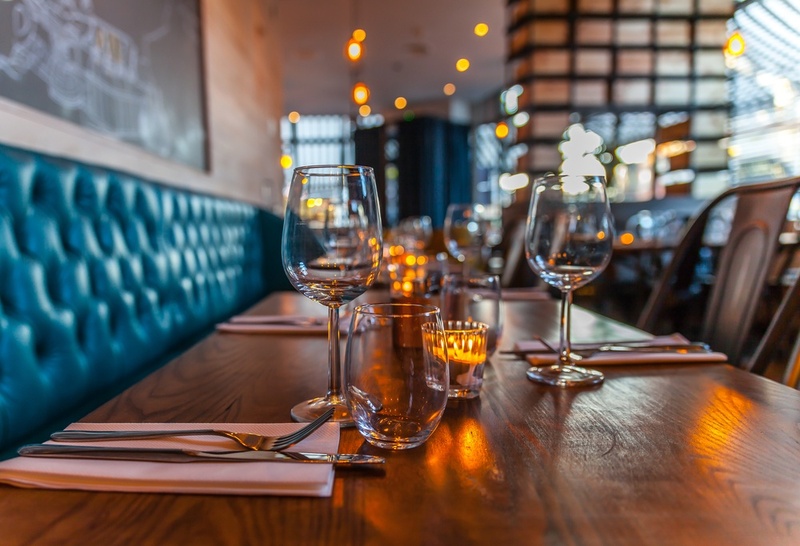 By upgrading appliances, HVAC systems, and lighting to energy-efficient alternatives, restaurant owners may decrease their energy costs up to 30% without sacrificing service, quality, style, or comfort. Finally, restaurants and bars can optimize their online presence. With the majority of consumers now using their mobile phones for nearly everything, restaurants and bars can take advantage of this 24/7, 365 open channel of communication. A company website and active, engaging social media presence provide efficient and convenient ways for restaurants and bars to interact with consumers.